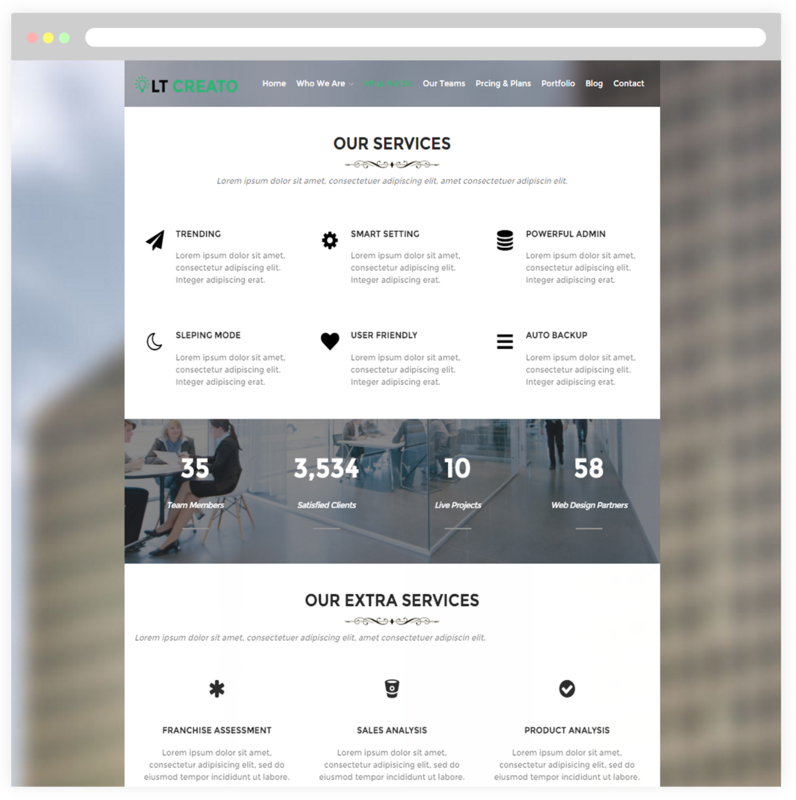 A creative WordPress theme that gives your website’s professional look and feel and promote your business brand in attractive way! 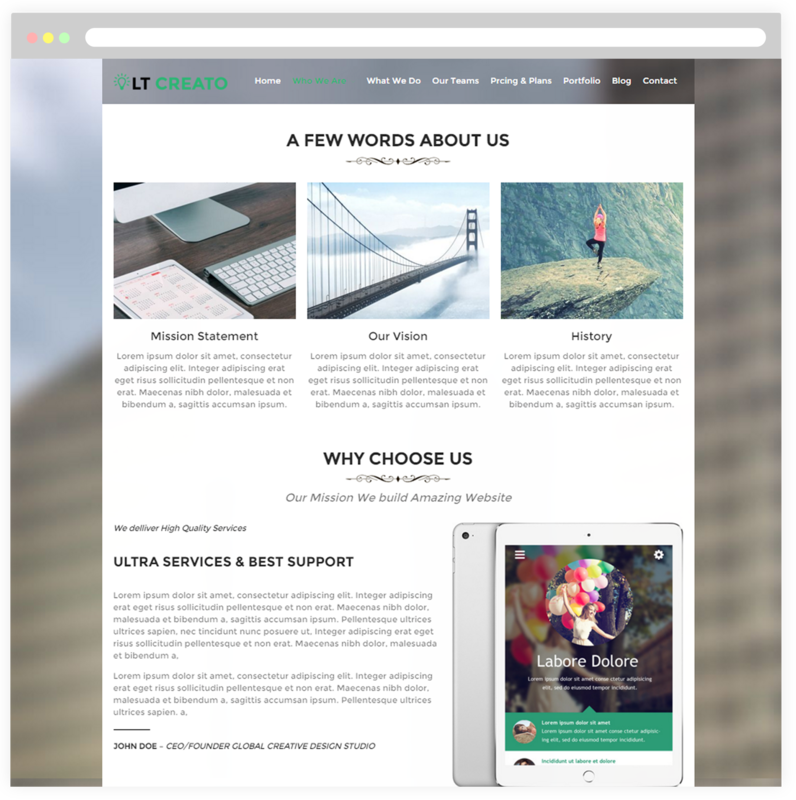 LT Creato is a Free Responsive WordPress theme with professional design that targets for image design websites. 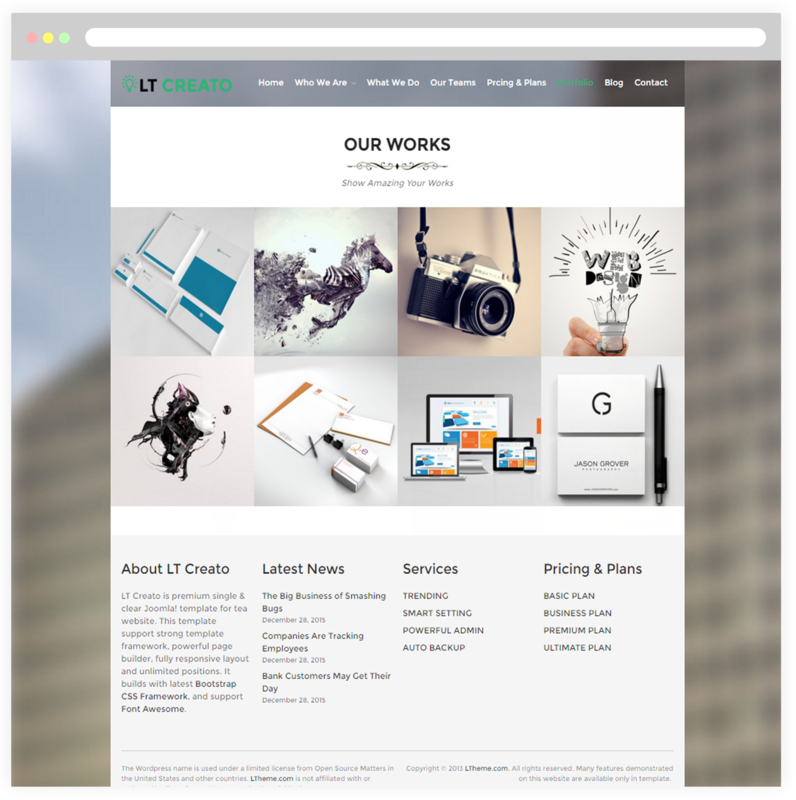 Designed in simple but very elegant style, this theme will be a suitable choice if you’re planning to build a small creative agency and personal portfolio site. 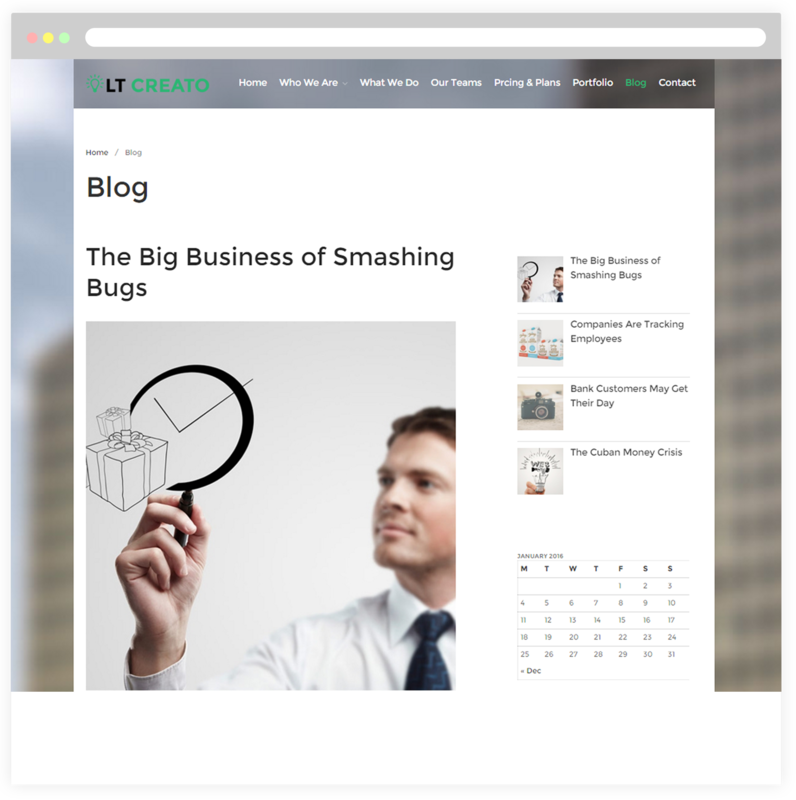 It not only offer you proper ideas to promote yourself but also display it efficiently. 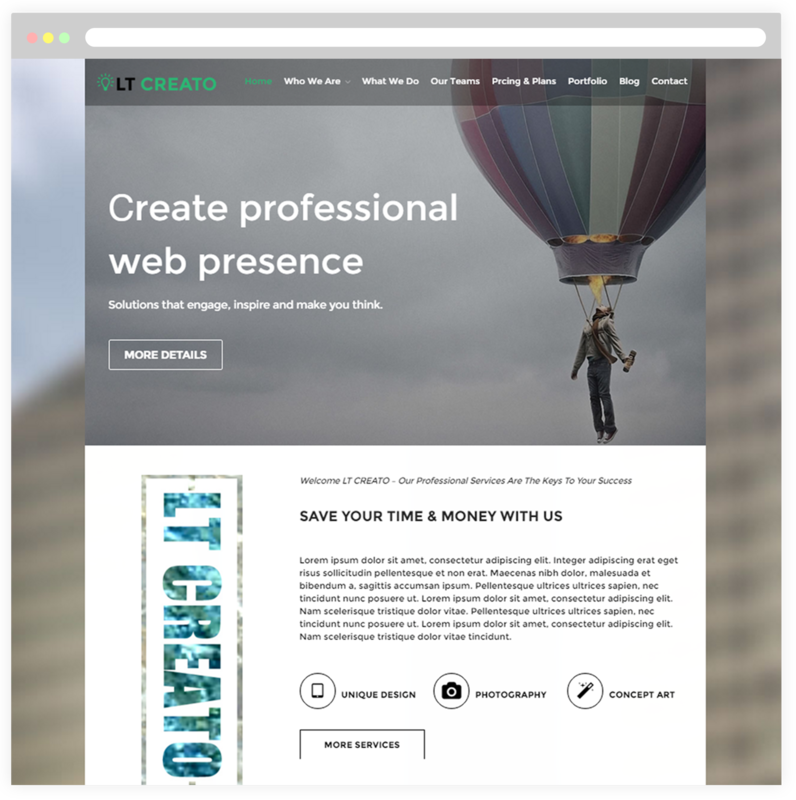 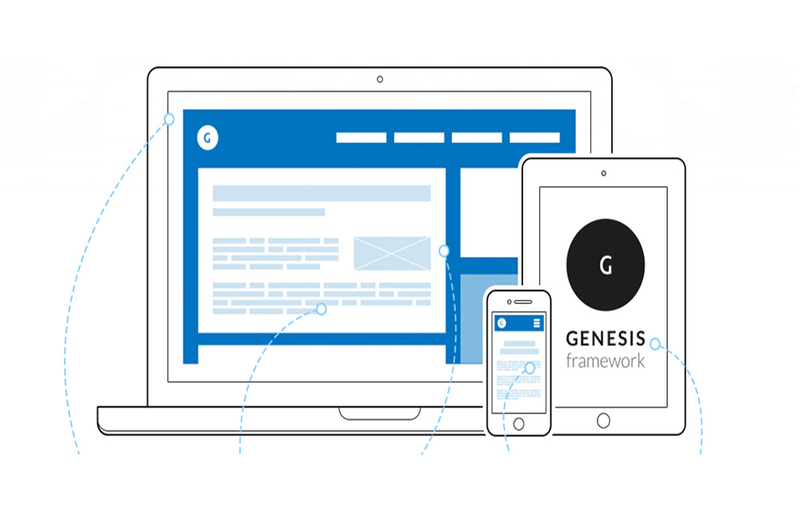 Because LT Creato built from powerful framework with fully bootstrap supporting strong shortcodes, drag-drop layout content, Bootstrap CSS & Genesis framework, your site will perform perfectly on any screen of PC and mobile and also fully customizable. 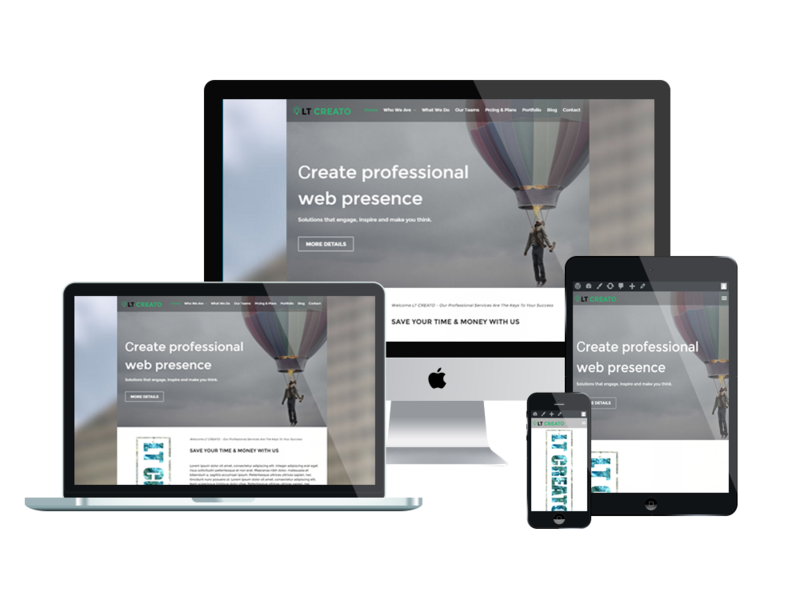 By downloading and installing this professional theme, you can instantly create an outstanding presence for your website! 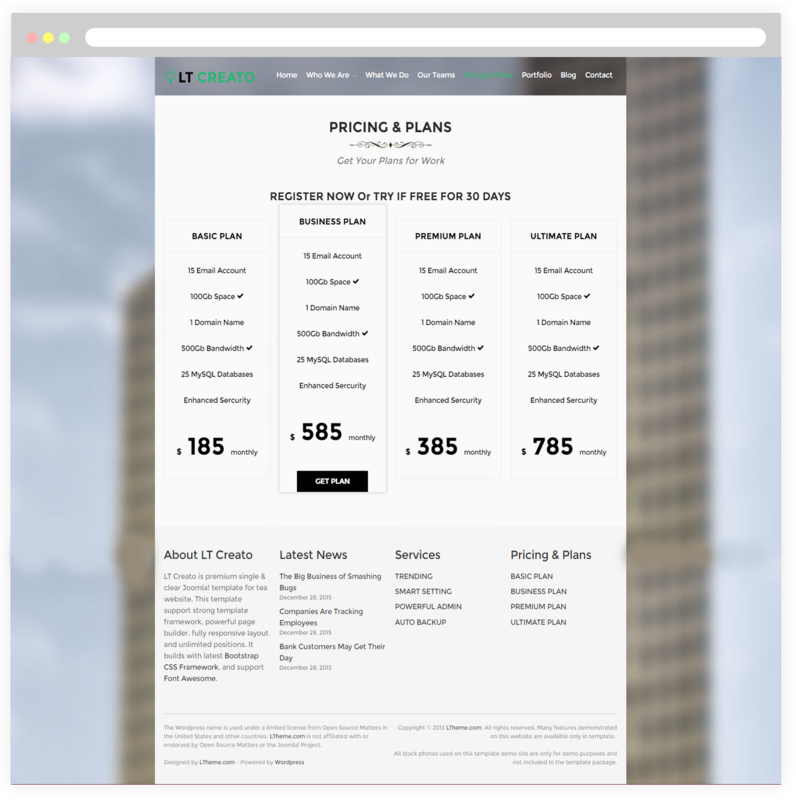 The page will help your customers understand better about your company. 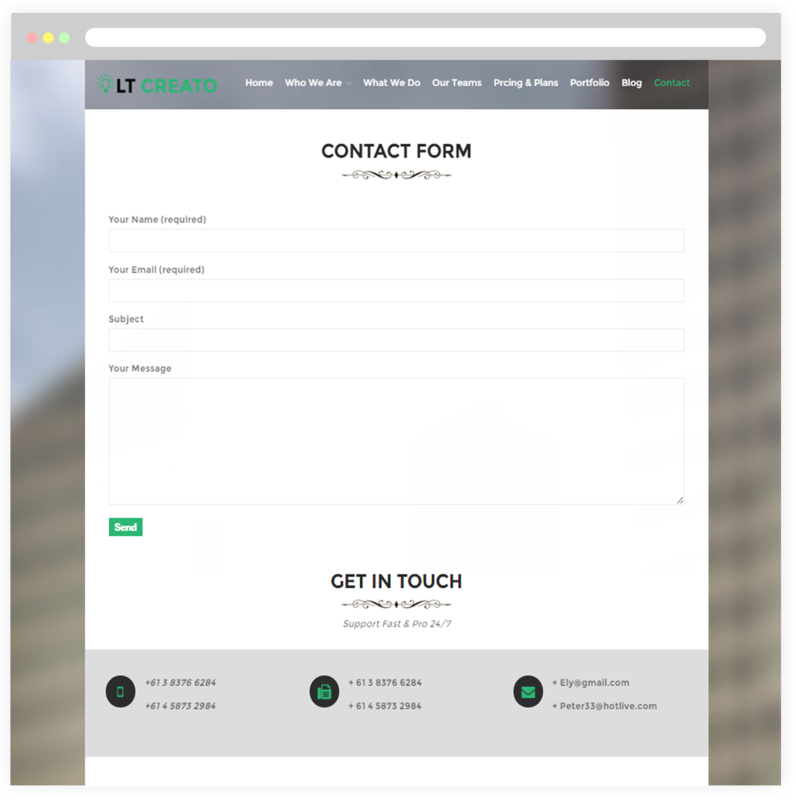 What it works about, how the product created, where the origin of your products… All of that will be introduced through this page. 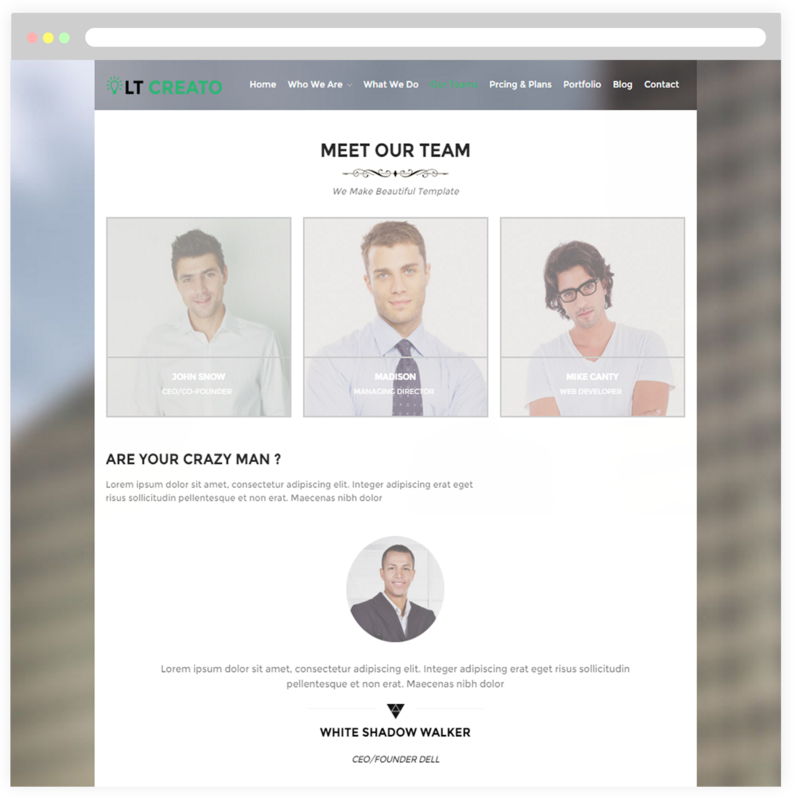 A strong company should have a good working team, so this page is useful to introduce the work team in your company, their personal profile, forte, strong point and much more.